Joliet is indeed a city of racial and income diversity. There are sections of this city where new subdivisions house upper middle class white collar classes and high income working classes. There are sections of this city that house working class residents that often live in slightly older homes. There is also areas of Joliet were lower income classes live and many are law abiding citizens. Joliet is a place of high crime in certain areas but also low crime in other areas. This is definitely a community you cannot just label as bad or good, asking a simple question of “Is Joliet safe?” is not the right question to ask, the best question is to ask which parts of Joliet are higher crime because each section is different. Joliet has many things to offer from the races at U.S. 66 raceway, to the Joliet Jackhammers baseball games, to the shopping in and around the Louis Joliet Mall, to the celebration each summer at Bicentennial Park, to Harrah’s and Hollywood Casinos and a full downtown area, this city has much to offer but, on the other hand, is home to some of the most dangerous criminal and gang activity in the state of Illinois. 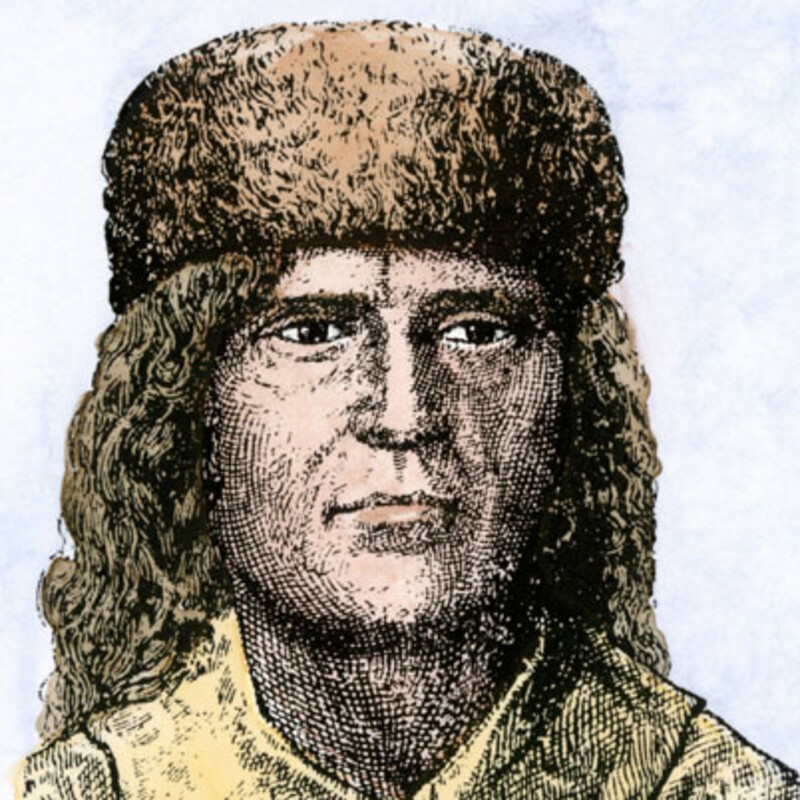 The Joliet area was first discovered by the white man in the year 1673 when Louis Joliet (pictured below) and Father Jacques Marquette (pictured below) came down the Des Plains River in search of a passage to Lake Michigan. 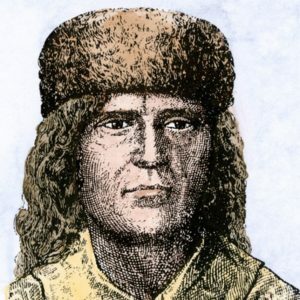 The two men set up camp on top of a large mound that was man made by Pottawatomie Natives in the area (The mound later was dug out by European settlers and eventually became the town of Rockdale). 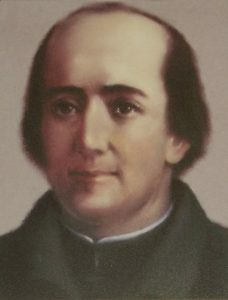 The first permanent non-native settler was Charles Reed (pictured above) who built a cabin right by the Des Plains River. 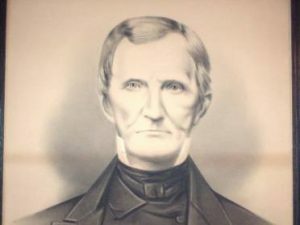 He was the only settler until 1834 when James Campbell planned on creating an entire city on the opposite site of the river to Reed’s settlement. Campbell worked with the Canal Commission that was planning on digging a major ship canal that would be later known as the Illinois Michigan Canal. The I&M Canal construction was expected to bring a high volume of temporary settlers during the construction phase then upon completion it was expected to bring thousands of permanent settlers and industry to the areas the canal ran through. Planners wanted to build twin cities near the canal known as Romeo and Juliet, named after the romantic play. Romeo was to be where the present day suburb of Romeoville is but the Romeo plan lost interest in 1836 and Lockport was to be the new site of the sister city to Juliet. The Village of Juliet was officially established in 1837 but because of budget reasons that was taken away; however, settlement of farmers in the area continued to come in and join Charles Reed as a town was being built up. In the year 1845, the town of Juliet was changed to Joliet because there was favor in changing the name to be named after one of the founding fathers of the area and the Romeo and Juliet plan did not happen so the Juliet name was no longer needed. Joliet continued to thrive in the following years especially after the canal was completed in 1848. In the year 1852 Joliet was so well built up that incorporation came back on the table and was this time permanently accepted and the village was officially now known as a city, the city of Joliet. In the earliest days of Joliet, the limestone business was major and was the main economic vein of this community as there were several limestone quarries that could be dug into which brought thousands of jobs to Joliet residents. The fact that Joliet was the “City of Stone” brought the ability for a state prison to be constructed in the city known as Joliet Correctional Facility that was built almost entirely out of Joliet limestone in 1858. The Great Chicago Fire of 1871 brought a massive boost in the limestone industry for many years to come as Chicago worked over the next several decades to rebuild itself after the legendary tragedy. Since Joliet had an elaborate railroad system since 1852, the city was able to send phenomenal amounts of limestone by rail car, making Joliet the number 1 source of limestone for Chicago construction. Another major industry to come to Joliet was the steel industry that arrived in the year 1869 thanks to the opening of the Joliet Iron and Steel Works that employed about 2,000 men. Joliet was now known as the “City of Steel” due to the steel works. The Joliet steel company sparked many more industries that employed thousands of people to arrive in the city over the preceding years, these industries included Bates Manufacturing in 1884, Joliet Seven Up bottling company Inc in 1935, Joliet Wallpaper Mills Inc in 1914, Leach Windmill company in 1871, wire mills, Joliet Coke Works, Koppers Oven Plant in 1908, Joliet Stove Works, a horseshoe factory, Werden Buck Company in 1888, U.S. Pipe and Foundry of Joliet, Hudson Boiler and Tank Company in 1940, Joliet Boiler and Welding Company in 1884, can manufacturers, bridge building companies, Joliet Army Ammunition Plant in 1940, steel car shops, Hart Schaffner & Marx clothing, Fred Sehring Brewing Company in 1902, Pizzarro Piano Company in 1909, Joliet Caterpillar in 1951. Joliet was now jumping with employment opportunities that kept appearing throughout the second half of the 19th century and the first half of the 20th century. The first Junior college in the United States opened in Joliet in 1901, now known as Joliet Junior College which added another great feature to the city. In the first few decades of the 20th century many eastern Europeans immigrated to Joliet to partake in the steel industry and during the First World War a small cluster of African American and Mexican migrants settled in Joliet. Joliet continued to grow in population and had a strong first three decades of the 20th century, but the Great Depression era slowed down growth and prosperity of the city, especially after the steel works closed down in 1932 due to the hardships of the Great Depression era. After the steel works were closed down the area was left vacant for many years including the many coke plants and steel wire facilities. 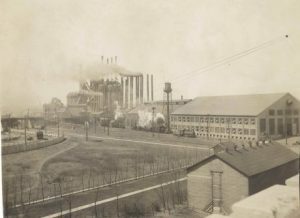 The closing of the steel works cost many jobs of Joliet residents and caused some other industries to suffer, but Joliet was able to bounce back during World War II as Joliet was able to heavily manufacture war supplies. 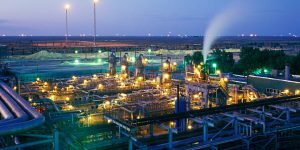 The 1950s decade brought a major boom in population growth as over 15,000 new residents settled in the city thanks to a continuous array of manufacturing jobs in the area and of course the oil refinery that is today known as Exxon Mobile. Among the many new arrivals of the 1950s came over 3,000 more African American families that arrived in the city from Chicago or the southern United States looking for employment. Many of the new African American families were too impoverished to rent or purchase housing; therefore public housing was the best option for these families, this is when the Poole public housing projects were built on the city’s east side near the intersection of Woodruff and Mckay in 1954. These projects were 2 story row houses and were heavily cherished by the lower income residents, the projects were not only for black families, many Mexican and white families also lived in the Poole projects when they first opened. A few years later more low income families were pouring into the east side which caused more of a housing shortage, this prompted another public housing project to be constructed in 1959 that became known as the Des Plains Homes, these were more 2 story row houses built around the intersection of McDonough and Desplains for low income residents of all races. The 1960s saw more of a population explosion in the city as more people came to take advantage of Joliet’s many working class industries, and more lower income families were arriving which prompted another public housing project to be built near the Poole projects and Des Plains projects on the city’s east side, this new project was the Fairview projects that was built in 1965 near the intersection of Fairview and Juniper. City planning was seemingly strategically placing to lower income classes on the city’s east side, as that is the site of the three public housing projects. Just like most cities nationwide, the poor are often viewed as less desirable to live near even if the families are law abiding citizens, this was apparent in Joliet as well. The east side was not full of high crime in the 1960s and the projects were an ideal place to live for lower income class and working class Joliet residents, the later problems with Joliet public housing were not apparent in the 1960s, neither was the uncontrollable crime of later years. The 1970s in Joliet brought a grinding halt to the growing population mainly because those that arrived in the earlier part of the decade were replacing the many that were leaving the city in the late 1970s. Many manufacturing industries closed their doors or experienced several layoffs in the late 1970s. Many residents of the city were devastated and left without an income, those that could afford to move away packed their bags and left seeking better career opportunities but many lower income residents did not have the means to move away especially those in public housing. Public housing residents needed to stay in an area that provided this type of housing because they could not afford utilities and normal rent payments. Other public housing neighborhoods around the whole Chicago area were experiencing this same economic devastation at the same time so there was nowhere else to go, the best thing to do was to keep looking for another job. As a result of the economic hardships on the east side, crime started to increase as desperation and drug addiction set in. The early 1980s did not bring any better times for the east side of Joliet as unemployment and poverty only increased greatly. Joliet housing was decreasing in value bringing the possibility for lower rents and cheaper prices to buy homes. Joliet’s industries were closed permanently so moving onto the east side would not bring anyone close to employment opportunities, but lack of employment was not an issue for newly arriving residents that had no desire to obtain employment that received Social Security income. Many residents of this income status began migrating to Joliet from some of the toughest areas of Chicago because Joliet was even cheaper living than Chicago. Many new families took up residence in the public housing projects while two parent families with working class salaries left the projects when the local and nationwide economy collapsed in the late 70s and early 80s, because they were serious about obtaining employment and needed to move elsewhere. Among the new wave of little income to no income new residents on the east side came juvenile and adult gang members from Chicago. The gang members were members of the Conservative Vice Lords and Black Gangster Disciples. In the more Mexican area of the east side members of the Latin Kings and Two Six organizations settled in those areas, all four of these gangs began recruiting in the year 1982. At first Joliet police reported a sudden elevation in crime in 1982 as calls they received became much more frequent, they also reported a sudden jump in violent crime that year, and at first it was a mystery until they saw gang graffiti sprayed on the walls. Joliet police contacted the Chicago police Department’s Gang Crimes Unit to get advice on what the graffiti meant, according to Joliet Police Sergeant Fred Hafner in a Chicago Tribune article from 1988, and sure enough the new graffiti problem was gang related. Hafner stated that soon after the graffiti was identified guns and drugs became a much larger problem in the community. Hafner also stated that many gang members were initially attracted to the area because they wanted to move within closer proximity to family members and friends that were incarcerated at Joliet Correctional Facility or Statesville Maximum Security Prison. He also said gang members started to be released from prison and went right to settling the nearby east side after release (Chicago Tribune Bob Merrifield, August 21, 1988). The entire Joliet police force was not on high alert about the gangs when they first arrived only the officers that worked that district because the attitude was that it was a problem on the east side and does not affect anywhere else and this is what led Joliet gang influence to spread elsewhere in Joliet and other suburbs (Chicago Tribune Andrew Martin, June 17, 1993). The gang activity and violence escalated very quickly in Joliet, the first gang related homicide occurred in 1983, just one year after gang activity started. In February 1983, Joliet police were already investigating the shooting death of a 15 year old girl that was heavily suspected of being killed by gangs (Chicago Tribune, Daily Suburban, March 15, 1983). The Joliet gangs were already out to kill each other and anyone else that got in their way and that included the Joliet police. On the day of September 12, 1984 an incident would shock the community that would forever change Joliet. On this day Officer Martin Murrin had come across a flyer from the Bloomington Illinois police to look out for a reputed gang member that was wanted for an outstanding felony. Later that day Murrin was on patrol on the troubled northeast side of the city right by the Fairview projects when he spotted a car with both Latino and black youths, he recognized one of the Latino youths as 18 year old Manuel Salazar who was the Latin King gang member on the flyer he saw earlier from Bloomington. Salazar was either in the car with black Latin Kings or Vice Lord allies. Murrin proceeded to attempt to pull over the car and as it was happening, Salazar jumped out and ran while holding a gym bag. Salazar was pursued into an alley as Murrin caught up to him. A struggle happened and eventually Salazar ended up getting a hold of Murrin’s revolver and shot Murrin five times, killing Murrin. Salazar then ran to a friend’s house and his friend noticed his face was severely swollen. According to court documents Salazar told his friend and the jury that he was badly beaten by Murrin when he tried to surrender, and he grabbed Murrin’s gun as self-defense, Salazar then fled to Mexico but was apprehended in Mexico then extradited back to the U.S. Salazar’s story did not fly due to witness testimony and he was given the death penalty (People vs. Salazar, 1994) (Chicago Tribune Andrew Fegelman, December 4, 1985). Salazar was later taken off of death row and released from prison in 1996 after being given a lesser charge. The area where Officer Murrin was slain became known as “The Hill” because of the extreme violence and gang activity in this region. The Hill as this area was called became a local legend by Joliet residents and residents of nearby suburbs. Everyone now knew to stay away from The Hill because police and children would even fall victim to violence. The Hill area was indeed turning really bad, gangs controlled these streets rampantly and Heroin and cocaine sales were a common site by the mid-1980s. Several shootings were known to occur in this area. Before we move any further let us clarify where The Hill is exactly, because the boundaries have been the subject of debate for many years. The central and main area of The Hill is Fairmont Street starting at the intersection of Fairmont and Juniper Street running north to the intersection of Fairmont Street and to Robin Lane. This street has the physical characteristics of being like a hill because this street slopes downhill if you are heading north. This part of Fairmont Street has the Fairview projects on both sides of the streets as you go down, and wraps into Robin Lane that has more Fairview project buildings. This street started “The Hill” name but the reference expanded to include the entire vicinity of where the Fairview projects stand which is an area bounded by Rosalind Street on the north, Juniper Street on the south, Fairview Street on the east and Englewood Ave on the west. There is no debate that the area of Fairview projects can qualify as part of The Hill but The Hill borders extending beyond that to south and east of the projects can be somewhat of a debate. What is known is that the boundaries of The Hill do extend north of Rosalind Street into unincorporated Lockport Township also known as Fairmont but since this piece is only about Joliet I will get into that part of The Hill in my Lockport Township/Fairmont chapter. Many have said that the southern boundary for The Hill is Woodruff Lane and I am inclined to agree due to many saying the area between Woodruff and Juniper is a part of The Hill. As far as the eastern boundary if concerned it is best to say Fernwood Avenue is the cut off especially since you are no longer in Joliet after you go east of Fernwood, not only that saying the boundaries extend that far east will include the former site of the Poole projects that were located near Fernwood Ave.
To summarize The Hill Joliet side boundaries are Rosalind Street on the north, Woodruff Lane on the south, Fernwood Avenue on the east and Englewood Avenue on the west. The late 1980s brought even heavier gang violence to Joliet that could be felt on the northeast side on The Hill, near Broadway Street by downtown and by the Crest Hill border and also over by Black Road near Larkin Ave and Jefferson Street. When heading down along Jefferson Street into Ruby Street the houses and apartments in the neighborhood nearby were experiencing heavy gang activity, and then crossing the bridge and heading east of downtown Joliet the violence, drug and gang activity only became worse. By 1988, many Joliet residents became fed up with living in fear and dealing with the gangs and violence but on August 11, 1988 Joliet gangs showed residents that if you oppose the gang operations too much there will be severe consequences. Roscoe and Jenny Bryant were two outspoken citizens against gangs in Joliet. They both worked as correctional officers and the two worked to curb gang activity in the neighborhood which was much to the displeasure of Joliet gang members. In the summer of 1988 gang members first made threats to the Bryants and stood outside their home sometimes 100 strong then threats turned into action in June by first shooting into their home which ended up killing their family dog as the bullets flew into through their walls. A short time later gang members torched an abandoned house next door that gang members knew the Bryants owned. In July of 1988, gang members fired several more bullets into the Bryant’s home and their car. Then on the night of August 11, 1988 gang members throw a fire bomb into their house burning it down. The Bryants were strong advocates against gangs and called the police whenever they saw a crime on Mississippi Street which is where they lived on the east side. The Bryants still refused to move out (Chicago Tribune Bob Merrifield and Andrew Fegelman, August 13, 1988). May 7, 1989 was a day that would bring Joliet gang violence further into the light. The intersection of Irving Street and Youngs Avenue was the dividing line between Latin King and Two Six territory. On this day according to court documents, Erasmo “Eddie” Delacruz a known Two Six gang member had been known to stay with his cousin Amy Sanchez at 522 Irving Street at times. Because of this arrangement, Latin King gang member Randy Eyman approached the house on May 7, 1989 according to court documents and fired bullets into the home that ended up striking 9 year old Amy Sanchez in the head severely injuring her. According to court documents, Eyman shot at the house because he claims Delacruz had shot at Eyman’s friend some time earlier in a gang dispute and this was revenge. The defense tried to claim Eyman was mentally slow and had a third grade IQ despite being 16 years old at the time but that did not stick and Eyman was charged as an adult (People vs. Eyman, 1991). This shooting sparked a lot of anger in the community and as a result gang violence between Latin Kings and Two Sixs in that vicinity slowed down because there was a lot of police focus on that area. This was an early example of how young innocent bystanders could also be the victims of Joliet gang violence. The early 1990s were an even more dangerous time for the streets of Joliet especially the east side of the city. Gangs were growing stronger in size and becoming increasingly violent. The city experienced 185 documented gang related shootings in 1990 (Chicago Tribune Jennifer Cerven, May 20, 1991) and there were 15 documented gang related homicides that year (Chicago Tribune Bob Merrifield and Jennifer Cervan, February 28, 1991). Another major shooting caused another uproar in February of 1990 when a 10 year old boy became a victim during a violent and intense gang shootout as the boy was hit in the cross fire. This was the same part of Joliet where 9 year old Amy Sanchez was stuck in the head by gun fire but survived but little Daniel Reyes was not as lucky as he was shot as he tried to enter a house at 209 E. Benton St (Benton and Franklin), the little boy was shot in the face (Chicago Tribune Marja Mills, February 22, 1990) the killers were never caught. By 1991, things were only getting worse in Joliet, according to a Chicago Tribune article from May of 1991, a resident stated that a group of gang members stormed down Richards Street on the east side and approached a group of rival gang members and started shooting at the crowd injuring 6 rival gang members. In this same article residents talked about how they could no longer sit on their porch in the summer time and they would run red lights deliberately for fear of being attacked sitting at the light. Residents on the east side were now terrified of the neighborhood they lived in and no longer felt safe (Chicago Tribune Jennifer Cerven, May 20, 1991). The gang violence was indeed escalating year by year and the police and the community were losing control. Gang membership was also spreading in the city and making its way west into the more middle class areas of the city. On December 26, 1991 as holiday shoppers were cramming into the Jefferson Square Mall a dispute happened between two teens and a group of four gang members arose. The gang members then pulled out a gun and shot the two teens as other shoppers panicked and ran ducking for cover, but the teens survived. This was surprising because this incident happened on the west side of the city; however when interviewing clerks at the various stores in the mall, they claimed they saw gang members every day in the mall and on weekends they liked to start trouble (Chicago Tribune Bob Merrifield, December 28, 1991). The spread of gang activity around the city had much of its roots in the area around the three public housing projects on the city’s east side as now drug dealers were standing on every corner and massive amounts of violence followed. In the July 11th 1991 issue of the Chicago Tribune police Chief Dennis Nowicki stated “We are no longer keeping our head in the sand and denying we have a gang problem.” With that being said Joliet police began foot patrols by plain clothed police officers around the public housing projects in the summer of 1991. Housing Authority security had begun having their residents use ID cards, parking passes and visitor passes to prevent roving criminals and gang members and drug dealers from hanging out near the complexes. These procedures helped deter much of the crime and gang activity that summer and showed that Joliet was fighting back (Chicago Tribune Jennifer Cerven, July 11, 1991). The effects of the efforts of 1991 were short lived, as 1992 rolled in the gang violence grew to the highest the city had ever seen with a reported 227 gang related shootings, 88 people were wounded, 114 drive by shootings and 11 gang related homicides (Chicago Tribune Andrew Martin, June 17, 1993). One of the reasons for the excessive violence was that the Gangster Disciples were selling 2 kilos of cocaine a week and had a 24 hour, 7 day a week drug dealing business on the city’s east side that began in 1992 (Chicago Tribune Rachel Melcer, October 1, 1997). The Gangster Disciples were well known drug dealers on The Hill as they pulled in legendary profits, and they were willing to kill rival gangs that dared threaten this operation, their big enemies were and still are Latin Kings and Conservative Vice Lords, Conservative Vice Lords were an immediate threat on The Hill. As of 1993, Sergeant Fred Hafner stated there were about 1,000 known gang members in Joliet and about 1,700 possible other gang members and associates (Chicago Tribune Andrew Martin, June 17, 1993). This is an alarming number for any city suburb. There were 108 documented drive by shootings in 1993 (Chicago Tribune Jerry Shnay, November 29, 1994). 1993 was another terrifying year for the city of Joliet that had residents in a state of fear. Two major incidents caused quite a stir when innocent people became the victims of Joliet gang violence. The first incident to mention was the case of Roberto Flores that took the law into his own hands as he fired a .44 caliber Magnum into a carload of Latin Kings until the gun was empty. Flores did this because the gang members beat up his 14 year old brother because the younger brother refused to join the Latin Kings, the gang members fired guns into the air also in an attempt to scare the family but Flores shot at them without fear (Chicago Tribune Eric Zorn, June 6, 1993). The second incident occurred on November 21, 1993. Latin Kings gathered for a meeting to discuss how a Vice Lord gang member named Jose Aldava needed to be dealt with according to court documents. The Latin Kings decided to burn down this Vice Lord’s house for retaliation. Later that day, some of the Latin Kings were ordered to attract police attention in the area by throwing rocks at cars while the rest of the Latin Kings that attended the meeting would fill 40 once beer bottles with gasoline and rags, they also armed themselves with a shotgun and a 9 millimeter pistol. The Latin Kings then came to the house where Victor Aldava was inside looking out the window, Victor was a Two Six gang member even though his brother was a rival Vice Lord, but both Two Sixs and Vice Lords were now rivals of the Latin Kings so this attack was warranted. The Latin Kings saw Victor and started throwing down the forks and the bunny according to court documents then pulled out their guns and began shooting through the windows as Victor took cover. The gang members then launched the fire bombs into the house, but the intended targets were not killed instead the Aldava’s 91 year old bedridden grandmother was killed as she died from smoke inhalation (People vs. Fidel Nino, 1996). The indecent happened on Meeker Avenue which is an area where all four gangs tended to clash regularly. By 1994, violent crime had decreased by a large amount due to police crackdowns; however, the positive effect was short lived as Joliet gang violence would continue throughout the rest of the 1990s in higher intensity. In 1997 Joliet police took down the cocaine ring ran by the Gangster Disciples since 1992 on The Hill (Chicago Tribune Rachel Melcer, October 1, 1997). Joliet still continues to have issues with violence, heavy gang activity and drugs in the east side of the city, but the worst of it was in the 1990s decade. In the year 2006 the Poole projects were torn down and replaced by newer developments. In 2015 the Des Plains projects were torn down, and the Fairview projects are up for major demolition consideration at the time of me writing this piece in 2017. The Fairview projects continue to experience high crime and severe deterioration. Joliet is a great city but on the troubled east side it is best to be street smart. Over the years Joliet has experienced the presence of the following gangs: Gangster Disciples, Conservative Vice Lords, Latin Kings, Two Six, Black P Stones, Mafia Insane Vice Lords, Imperial Insane Vice Lords, Maniac Latin Disciples and New Breeds. All images below are to show the condition of Joliet public housing. Most pictures are courtesy of Google Maps.